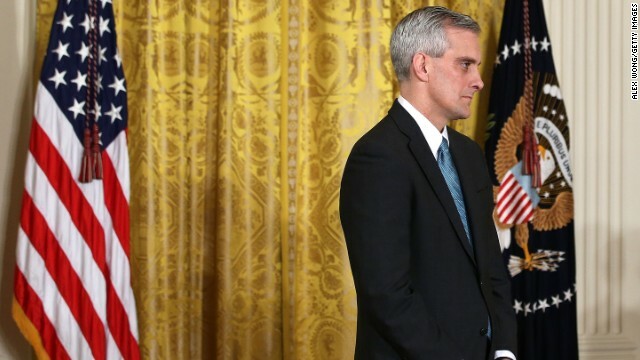 White House Chief of Staff Denis McDonough on the President’s plan to destroy ISIS and how they plan to gain support from Middle East countries. What does re-engagement in Iraq mean for the millions of war-weary military families? We talk to retired Major General Paul Eaton and retired Lieutenant General James Dubik. Both men had a role in training Iraqi troops post-Saddam, and will tell us what it takes to solve the military, political, and diplomatic crisis engulfing the fragile country. Then, the latest on the NFL scandal involving Baltimore Ravens running back Ray Rice. Senator Amy Klobuchar contacted NFL Commissioner Roger Goodell urging a zero-tolerance policy for off-the-field violence. Mike Wise, sports columnist for the Washington Post says the NFL under Goodell ‘has lost its moral direction’. Both join us live. Our political roundtable welcomes new CNN Commentator and former White House Press Secretary Jay Carney, along with former Romney adviser Lanhee Chen, CNN Crossfire host S.E. Cupp, and CNN Commentator LZ Granderson. And on the eve of his retirement after nearly 3 decades in the U.S. Senate, Iowa Democrat Tom Harkin dishes on Hillary Clinton, Joe Biden, and his least favorite presidents.